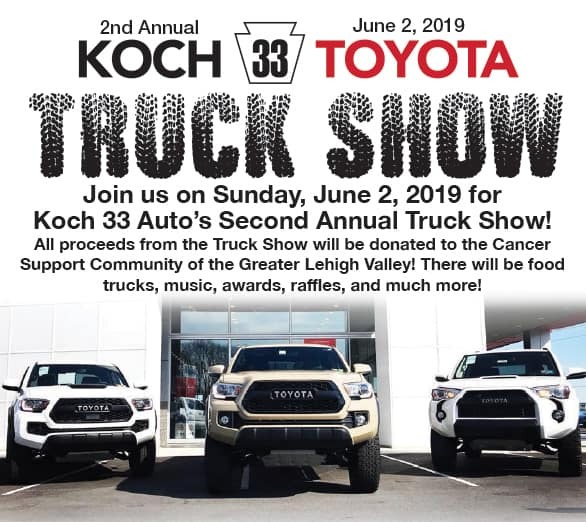 Join us on Sunday, June 2, 2019 for Koch 33 Auto’s Second Annual Truck Show! All Proceeds from the Truck Show Will Be Donated to the Cancer Support Community of the Greater Lehigh Valley! There will be food trucks, awards, raffles, and much more!